Dehydrating… PICKLES? OLIVES? Why not? Experimenting in the kitchen is always a fun time, especially when the result is a success. 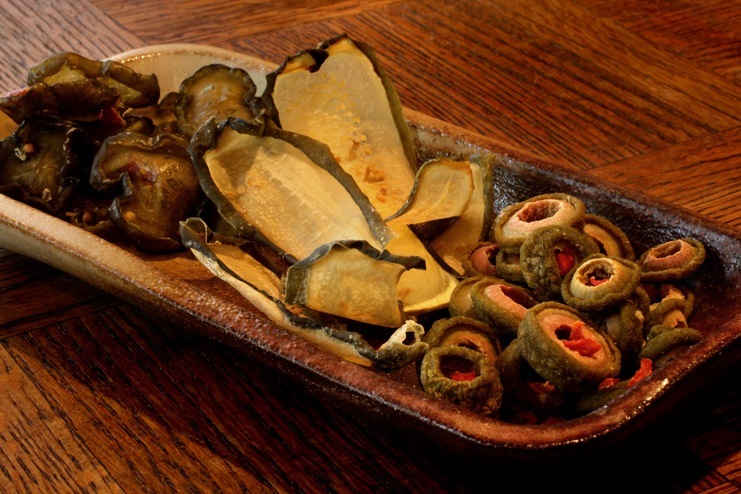 Here’s one to share… Who knew that dehydrating pickles and olives would be an option? Come to find out… it is. In the picture above you see organic sweet relish type pickles (from Trader Joe’s, already cut), sliced organic dill pickles (Trader Joe’s, again, already pre-sliced for sandwiches), and green olives on the right (those needed to be sliced). I was really pleased with the results of dehydrating these things.The sweet chunky pickles had a delightful chewy and salty texture. Great for eating a few by themselves or tossing on a salad. The dill sandwich slices are a salty, delicious, crunchy, and airy treat. And, the olives took on a fun chewy-ish type texture, salty too, of course, and good. Although making these is new to me, and so they’re not featured in my book about dehydrating raw vegan foods… there are a bunch of other great recipes in it. You can pick up a hard copy through Amazon (or the ebook right here). If you don’t have a dehydrator yet, I’d say the best ones on the market are by Excalibur and Sedona (you really can’t go wrong with either). Remember my recent post about dehydrating marinated mushrooms and onions? Making those is worth the price of a dehydrator alone. Raw Marinated Dehydrated Mushrooms and Onions – Oh My! Do you want to know how to make delicious dehydrated mushrooms and “onion rings” in the dehydrator? Are you looking for a recipe that’s raw vegan, flavorful, and a hearty addition to your meals? 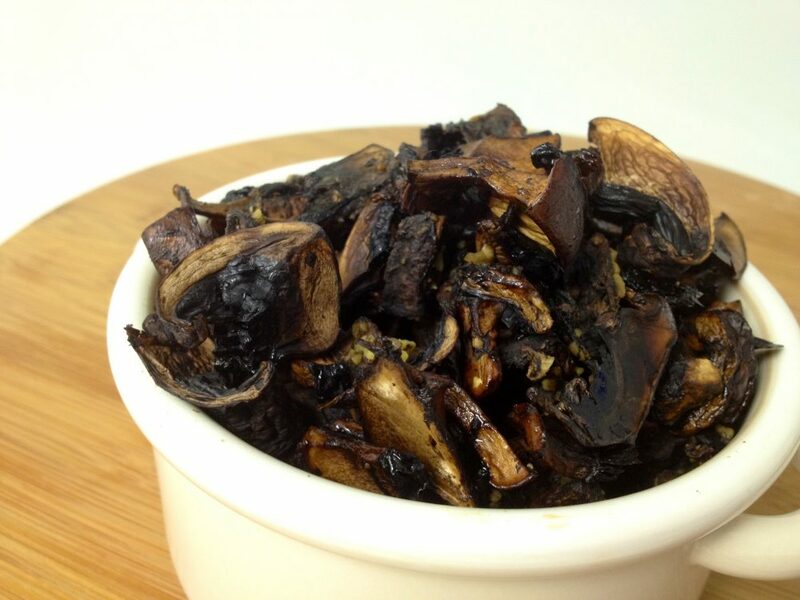 I have the solution for you… Dehydrated mushrooms and onions! If you’ve been following my tweets, then you know my dehydrators are running a lot these days. My family is hooked on raw, marinated, and dehydrated mushrooms (and onions). Theses mushrooms and onions are full of flavor, they’re satiating and chewy, and they’re worth the price of a dehydrator alone. [Read more…] about Raw Marinated Dehydrated Mushrooms and Onions – Oh My! I’m excited to announce that my book, Kristen Suzanne’s EASY RAW Vegan Dehydrating is now available in print from Amazon. Yeehaw! If you are trying to decide whether or not to buy one, then this book is for you! There are SO many fun and interesting things you can do with dehydrating Raw foods, such as making breads, crackers, wraps, pancakes, granolas, plant leathers (fruit roll-ups, etc. ), seasonings, and much more. You can also intensify flavors, add cooked-like textures to your foods, and even serve warm dishes with the food’s nutritional integrity totally intact! This book also comes with a special offer: 10% off Excalibur dehydrators & products.